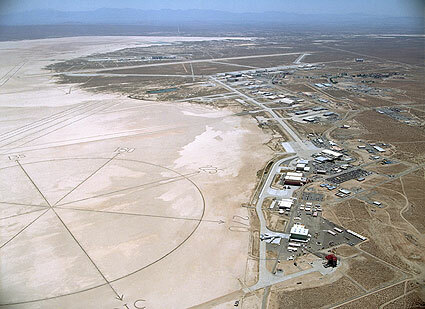 Discovery has come in for a smooth California landing on Runway 22 at Edwards Air Force Base after a 2-week resupply mission to the International Space Station. "Congratulations on an extremely sucessful mission, stepping up science to a new level on the International Space Station!" Returning from the ISS is Tim Kopra, who was replaced on the station by Nicole Stott. 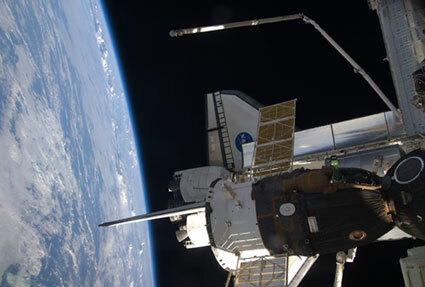 She arrived at the ISS as part of Discovery's crew, and she will return home later this year on STS-129. Discovery has successfully fired its maneuvering engines, allowing the spacecraft to fall out of orbit for the trip to Edwards Air Force Base. Discovery and the STS-128 crew will be traveling at Mach 25 through the Earth's atmosphere before slowing down to about 220MPH for touchdown at 8:53PM EDT. 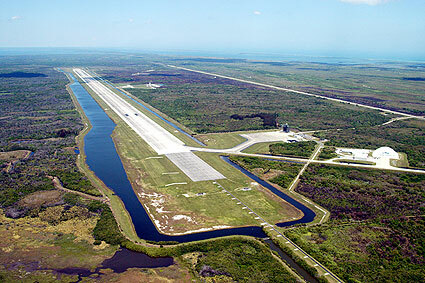 Weather conditions forced flight controllers to pass on both landing opportunities at Kennedy Space Center in Florida. Mission Control has decided to target Edwards Air Force Base, Calif., for today's landing since the weather at Kennedy is unstable. 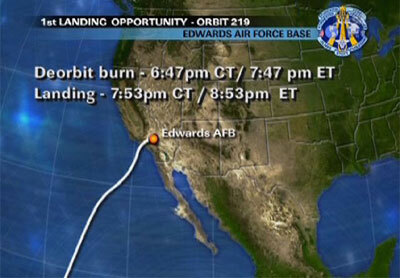 The first landing opportunity in California has a deorbit burn time of 7:47 p.m. EDT with landing at 8:53 p.m. The second opportunity would start with a deorbit burn at 9:23 p.m. and end with a landing at 10:28 p.m.
A landing today will complete a two-week flight for Commander Rick Sturckow, Pilot Kevin Ford, and mission specialists Pat Forrester, Jose Hernandez, Danny Olivas and Christer Fuglesang. 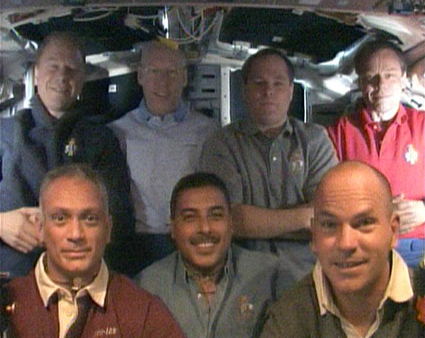 Today is the 58th day in space for their crewmate Tim Kopra, who launched on shuttle mission STS-127 in July and spent two months on the International Space Station as an Expedition 20 crew member. Landing blog at NASA. Live video with chat at SpaceVidCast. More clips at Space Multimedia. Check the links at right for play-by-play and NASA TV. Mission Control has called off Thursday's final space shuttle landing opportunity at Kennedy Space Center due to unstable weather conditions. Two more Discovery landing opportunities are available Friday at Kennedy Space Center. 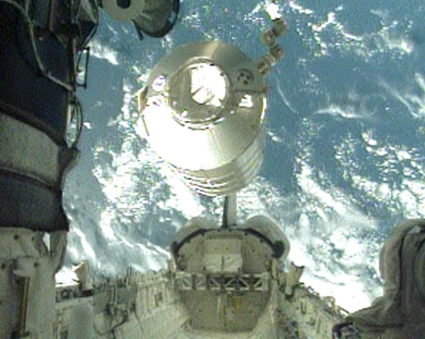 The first begins with a de-orbit burn at 4:41 p.m. EDT and ends with landing at 5:48 p.m. The second opportunity begins with a de-orbit burn at 6:17 p.m. with a landing at 7:23 p.m. However, the Florida weather forecast is not any better than Thursday's. 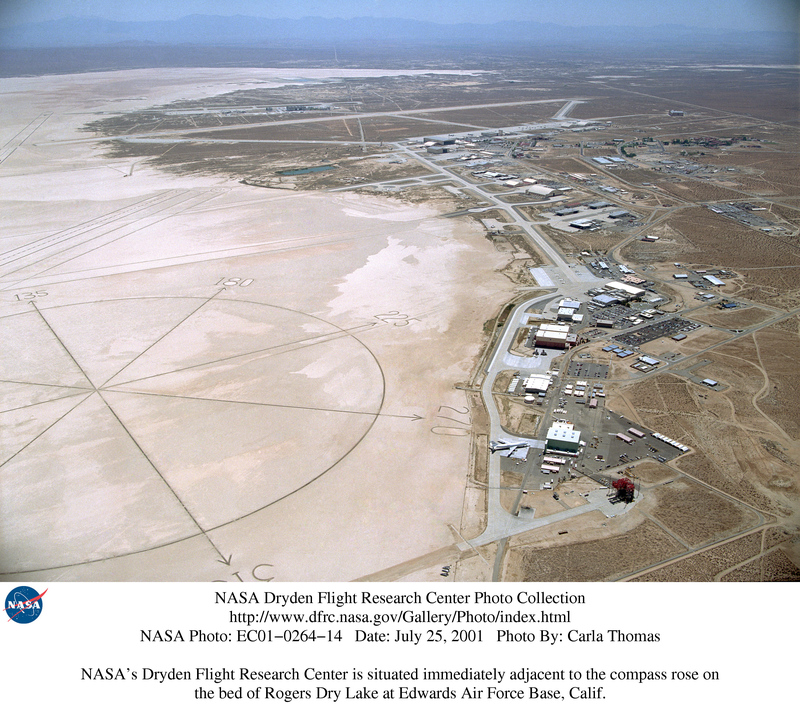 For that reason, Entry Flight Director Richard Jones has decided to call up Edwards Air Force Base in California as an alternate landing site for Friday. Live video at SFN and SpaceVidCast. Landing Blog at NASA. Flight Day 13 pics and video are up at the JSC Gallery. More clips at Space Multimedia. Discussion here. Check the links at right for play-by-play and NASA TV. Discovery’s heat shield was cleared for landing Wednesday, and the crew checked out the systems that will be used to control the space shuttle’s return to Earth. The first landing opportunity is planned for 7:05 p.m. EDT Thursday, but Mission Control is keeping a close watch on weather conditions at NASA’s Kennedy Space Center in Florida. A second opportunity is available on the following orbit at 8:42 p.m. Commander Rick Sturckow and Pilot Kevin Ford spent Wednesday preparing the shuttle for re-entry, completing a checkout of the flight control systems and test-firing the shuttle’s reaction control system thrusters. 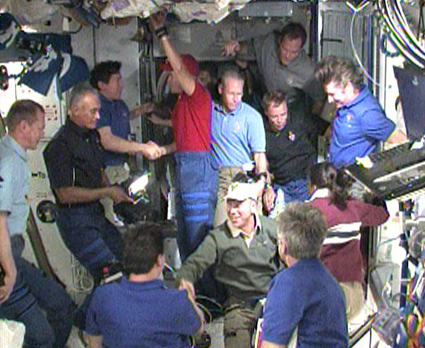 Live HD webcast at SpaceVidCast. Flight Day 12 pics and video are up at the JSC Gallery. More clips at Space Multimedia. Live video at SFN. Discussion here. Check the links at right for play-by-play and NASA TV.